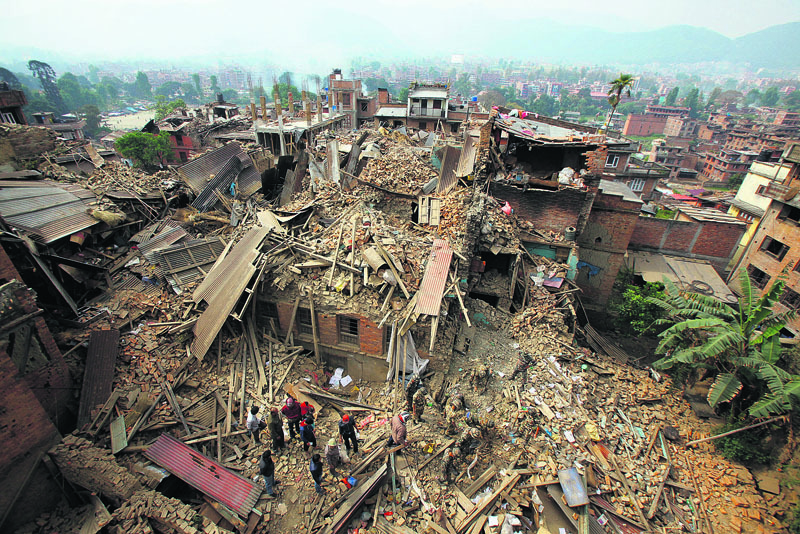 KATHMANDU, June 11: More than half of the houses damaged by the 2015 earthquakes were less than 20 years old. A new statistics prepared by Central Bureau of Statistics (CBS) shows that 27 percent of 1,052,948 quake-hit houses surveyed were less than 10 years old, while 30 percent of the damaged houses were aged between 10 to 20 years. 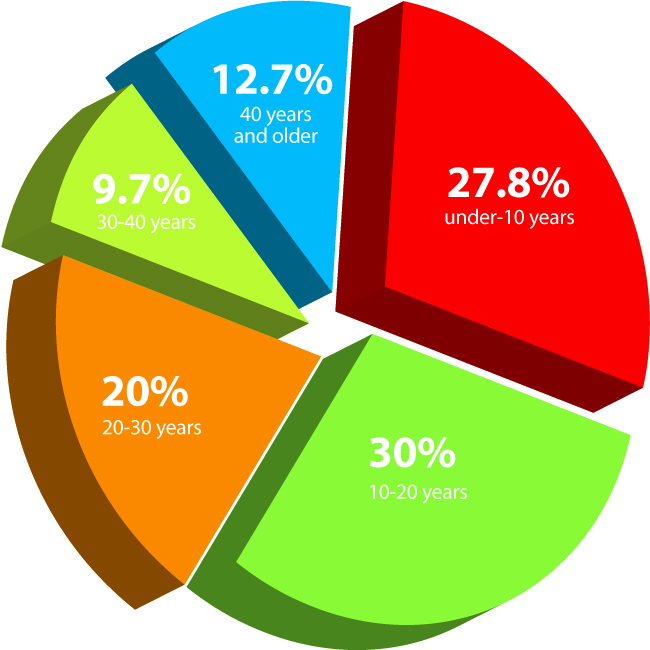 The final macro data of survey of quake-hit households launched by CBS on Sunday shows that average age of damaged houses is 22.7 years and the median age is 18 years. But the average age of severely damaged houses is 24.9 years and median age of such houses is 18 years. The data shows that the houses survived less than the standard age of 25 years, say experts. Former government secretary Kishor Thapa said that the standard survival age of individual house is 25 years“ "Most of the damaged houses were less than 25 years old. This has raised question on the quality of construction in the past two decade”," he added. "This is because of the brain drain of trusted and experienced local masons and carpenters and the growing preference for workers from other parts of the count”y," Thapa said. In recent years, the construction industry is abuzz with Indian workers. Interestingly, only 20 percent of the damaged houses were between 20 and 30 years old. Likewise, 9.7 percent of the damaged houses were 30-40 years old, and 12.7 percent were more than 40 years old. Of the damaged houses, 75.3 percent were severely damaged, while remaining 24.7 percent sustained marginal damage, data shows. According to data, 84.2 percent of the severely damaged houses were mud houses, while 5.4 percent were built using cement and bricks, 4.1 percent were pillar system, and remaining 5.8 percent made of wood and bamboo. National Reconstruction Authority (NRA) has selected beneficiaries of household grants based on CBS data. CBS carried out complete census in 11 most affected districts -- Dolakha, Ramechhap, Okhaldhunga, Sindhupalchowk, Kavrepalanchowk, Sindhuli, Makwanpur, Dhading, Nuwakot, Rasuwa and Gorkha. Three districts of Kathmandu Valley and 17 other districts were surveyed using verification model. This means enumerators surveyed the houses based on data of damaged houses provided by local authorities. Speaking at a function organized to unveil the report on Sunday, CBS Director General Suman Raj Aryal said that the data comprises all the image records of the damaged households as well as other socio economic feature“. "This survey is the largest after the census. Data of these 11 districts can be used for devising policies for socio-economic development in those distric”s," added Aryal.